Immerse yourself in the city that never sleeps - New York City. The beautiful city offers a blend of iconic landmarks and scenic greenscapes that you can enjoy the best of both worlds. Manhattan is the most densely populated county in the United States and the most densely populated of the five boroughs of New York City. The city is often said to be the economic and cultural centre of the United States and serves as home to the United Nations Headquarters. Anchored by Wall Street in the Financial District of Lower Manhattan, New York City has been called both the most economically powerful city and the leading financial centre in the world. Join me in an epicurean journey and enjoy the scenic sights around Manhattan in 36 hours. 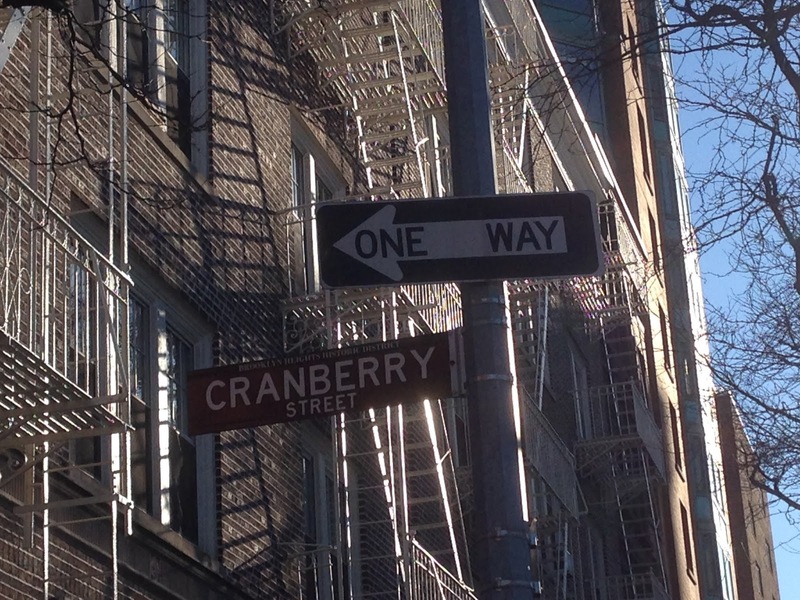 Start your journey at Brooklyn Heights where the streets are named after fruits. According to the New York City Parks, the streets received their names in the nineteenth centre from local resident Lady Middagh, a descendent of one of the earliest families to settle in the area. At that time, the streets were named after aristocratic families that lived on them. Lady Middagh found this "pretentious", and she replaced the original street signs with her own. Fruit streets are Pineapple St, Orange St, Cranberry St. Other aristocratic streets that survived Lady Middagh's attack include Hicks, Pierrepont and Remsen. At the end of the streets is the Fruit Street Sitting Area, named after its surrounding tropical bounty, which connects Columbia Heights and Brooklyn Promenade. Immerse yourself in the beautiful scenic cityscape of Lower Manhattan and a glimpse of the Statute of Liberty at Staten Island. Take a stroll on the Brooklyn Bridge. It connects two great boroughs: Manhattan and Brooklyn. 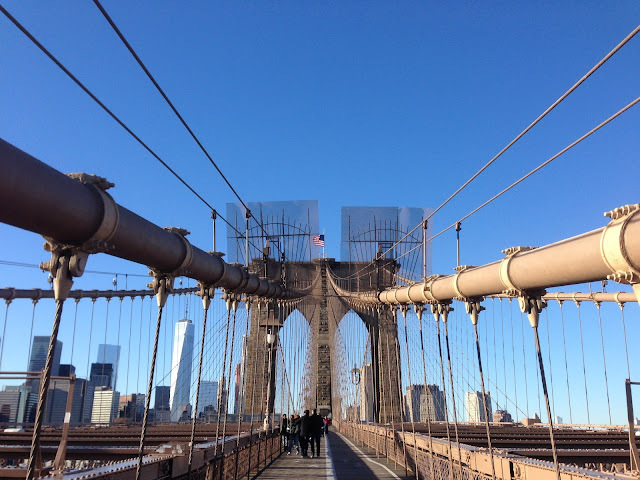 Opened in 1883, the Brooklyn Bridge is a hybrid cable-stayed/suspension bridge in New York City and is one of the oldest bridge of either type in the United States. 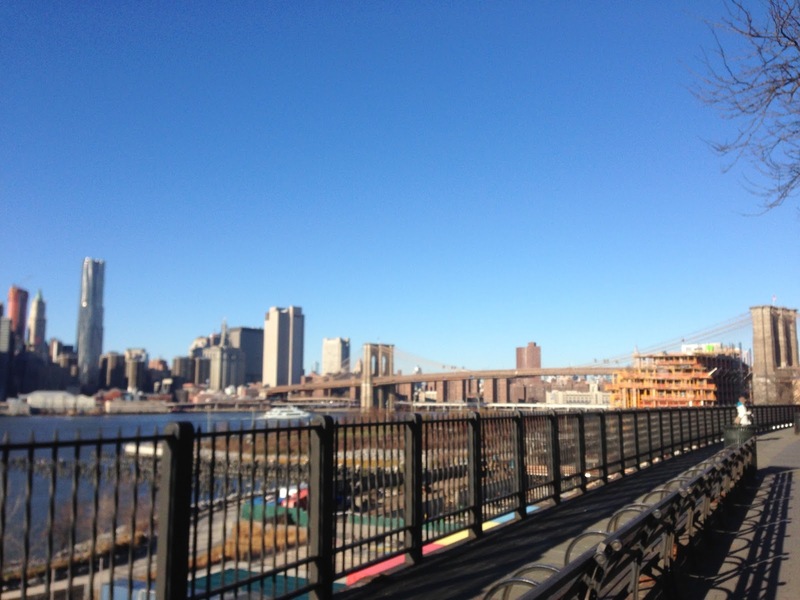 The 1.825km bridge connects boroughs of Manhattan and Brooklyn by spanning the East River. 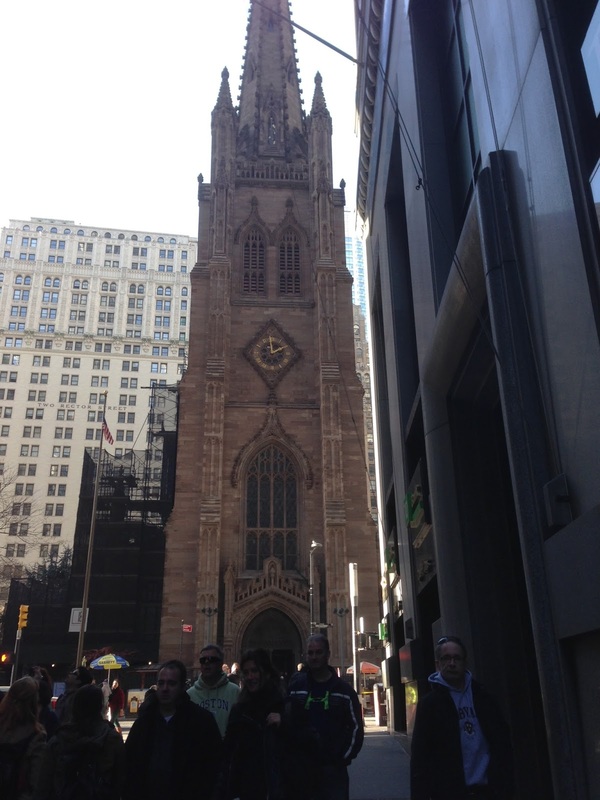 Located near the intersection of Wall Street and Broadway stands a historic, active and well-endowed parish church - Trinity Church. Built between 1839-46, the church withstood 9/11 terrorist attacks with little damage and has played an important role in remembrance of the event. In 2004, Trinity Church played an important role in the film National Treasure starring Nicholas Cage. 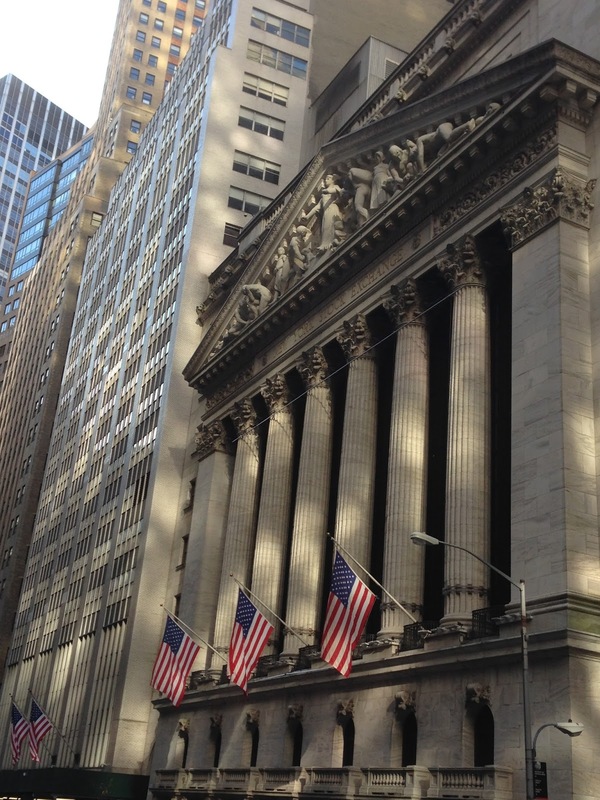 If you have watched Leonard DiCaprio's 2013 movie film, The Wolf of Wall Street, you must definitely visit the New York Stock Exchange. You can buy tickets to tour around the icon of commerce and capitalism. Located in the centre of the New York's financial district of Manhattan, the New York Stock Exchange is most famous for Wall Street and is the largest stock exchange in the world. Visit the 3-ton bronze sculpture of Charging Bull located near the stock exchange, which symbolises New York's financial industry. Continue your stroll uptown and you'll find One World Trade Center. The 104-storey super tall structure is the tallest skyscraper in the Western Hemisphere, and the fifth tallest in the world. The new skyscraper shares the same numeric name with the North Tower of the original World Trade Center, which was destroyed in the terrorist attacks of September 11, 2001. 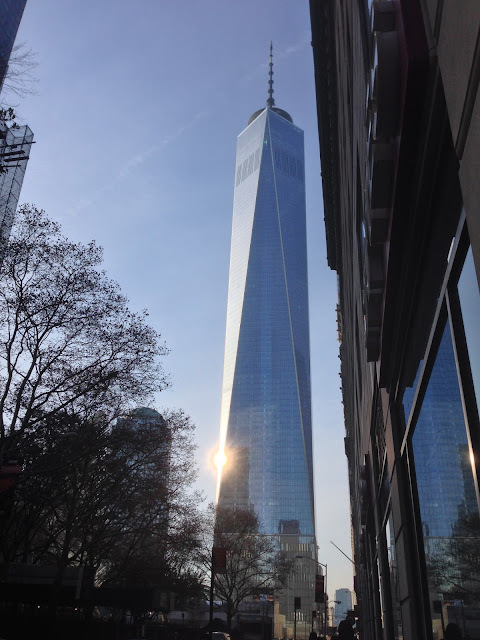 It also stands on the northwest corner of the 6.5-hectare World Trade Center site, on the site of the original 6 World Trade Center. Opens 24 hours, Washington Square Park is one of the best-known of New York City's public parks. 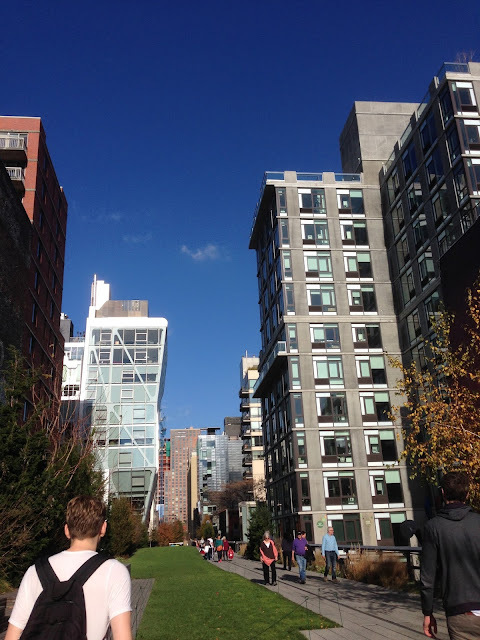 At 9.75 acres, it is a landmark in Manhattan and in the neighbourhood of Greenwich Village, as well as a meeting place and centre for cultural activity. 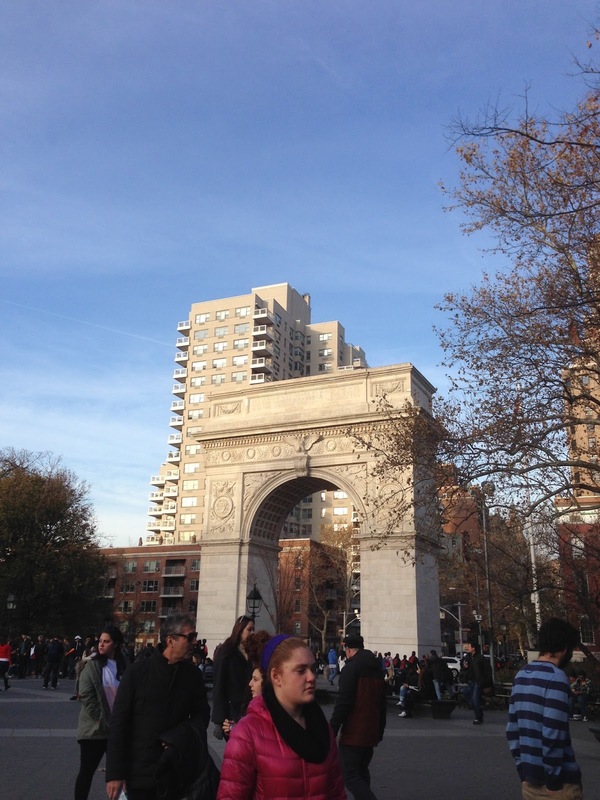 Constructed of white Tuckahoe marble, Washington Square Arch was modelled by Stanford White on the Arc de Triomphe. Built in 1892, the iconography of the Arch centres on images of war and peace. Also, immerse yourself with the bustling streets in New York University and try the delicious family restaurant chain, Famiglia. Or Singapore Treats at Chomp Chomp. Walk along Broadway until you arrive at Union Square. Union Square is an important and historic intersection and surrounding neighbourhood in Manhattan, New York City, located where Broadway and the former Bowery Road, now Fourth Avenue, intersect. This location opens on Mondays, Wednesdays and Fridays all year round. 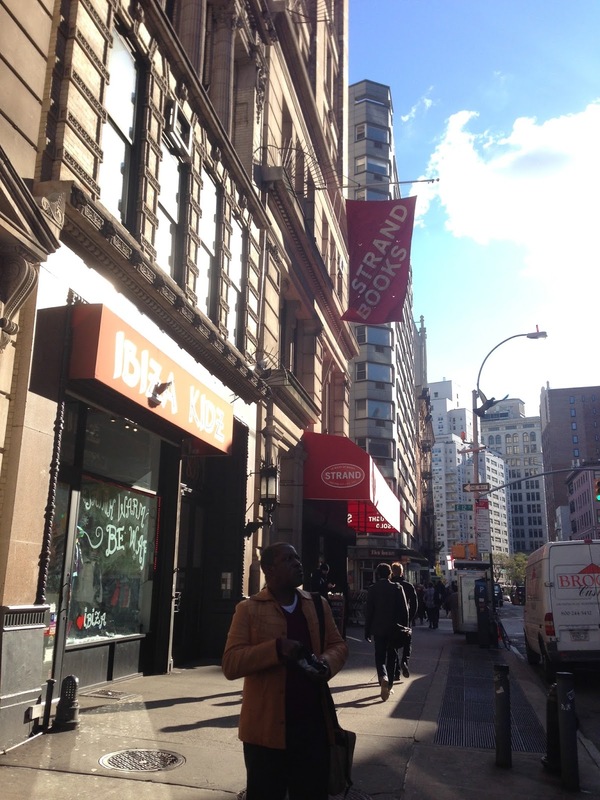 If you are a book buff, make a pit stop at Strand Bookstore. Founded in 1927, the Strand Bookstore is an independent bookstore located at 828 Broadway. The store occupies there and half floors, using half a floor for offices and one additional floor as warehouse space. As of December 2011, the store had 2.5 million books. 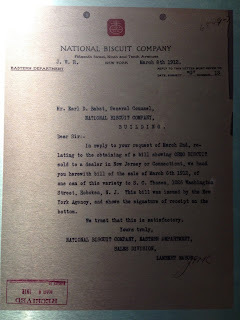 Founded by Benjamin Bass, the store remains as a family-owned business with more than 240 employees. 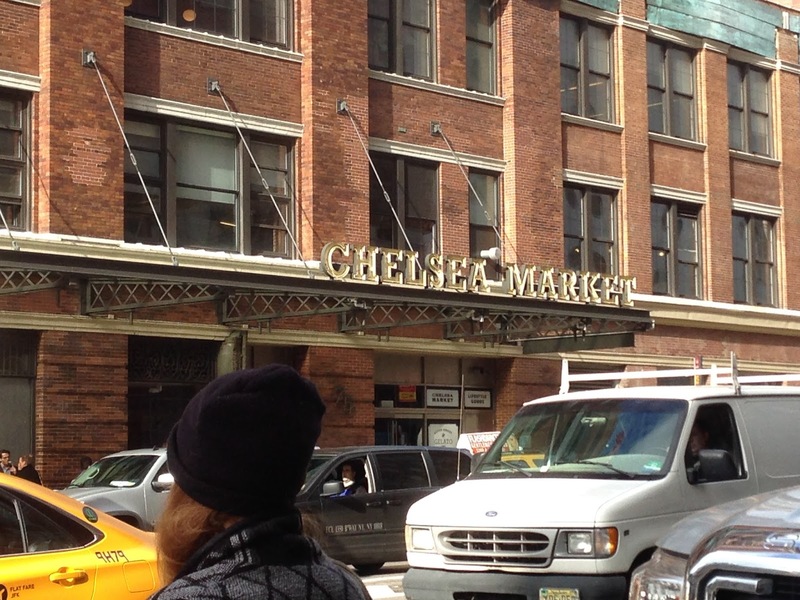 Turn about six blocks westward towards the Hudson River, you will find the Chelsea Market. With more than 35 vendors offering a myriad of food from soup to nuts, wine to coffee, cheese to cheesecake, Chelsea Market attracts 6 million national and international visitors annually. 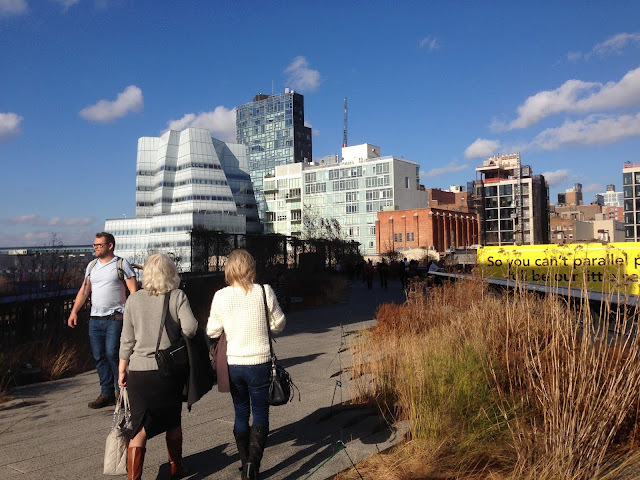 The areas has always been the food hub in the city, beginning with the Algonquin Indians, who traded their game and crops on the banks of the Hudson River at this same spot. 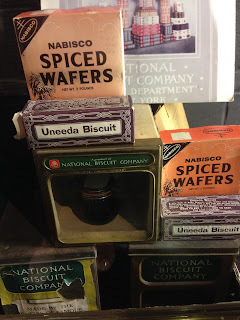 The Chelsea Market was once part of complex owned by the former National Biscuit Company (Nabisco) factory complex where the Oreo cookie was invented and produced. Opened in 1974, The Lobster Place brings a taste of the Maine coast to restaurants and consumers in New York City. Just above Chelsea Market, passing through the building on 10th Avenue, is a new urban landscape called High Line. 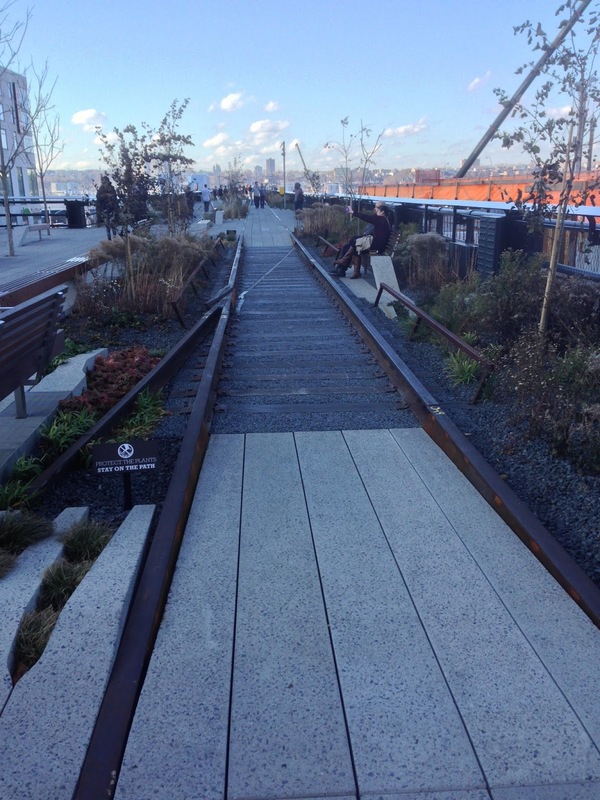 Opened in 2009, the abandoned, elevated railroad track has been converted to a greenscape, which now forms a continuous route between the Javits Convention Center and the trendy Meatpacking District. 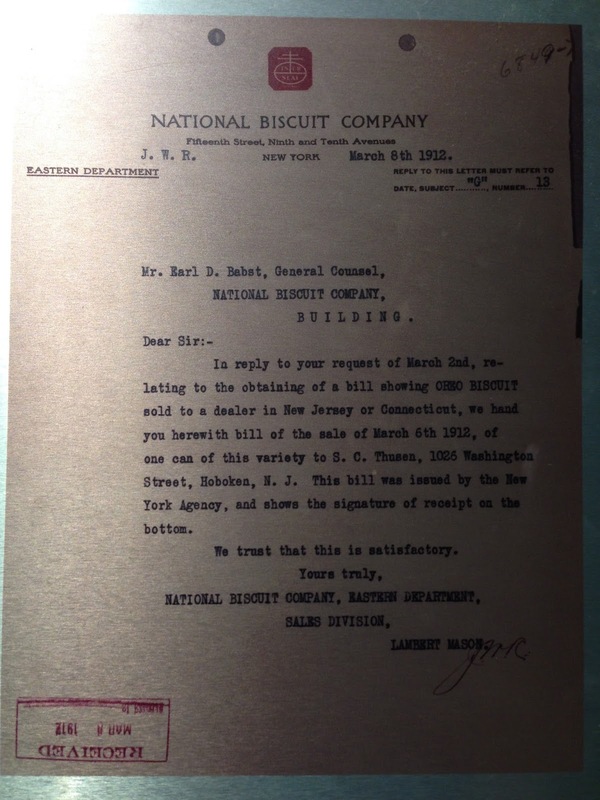 The district has always been the centre of food in the city, beginning with the Algonquin Indians, who traded their game and crops on the banks of the Hudson River. The trains of the High Line once served the wholesale butchers who lined the streets beneath the tracks and cooled their provisions with blocks of Hudson River ice. 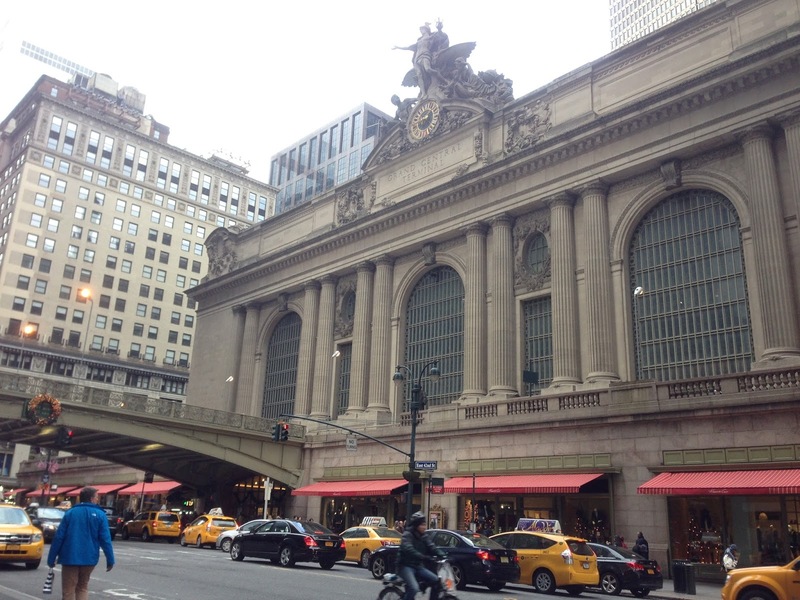 Not forgetting, the iconic train station, Grand Central Terminal, known for its grand facade and main concourse and retail and dining places. Next to the Terminal, the Chrysler Building, a famous skyscraper in New York City. If you are hungry, you may want to consider the Brooklyn Diner that is highly recommended by a friend. 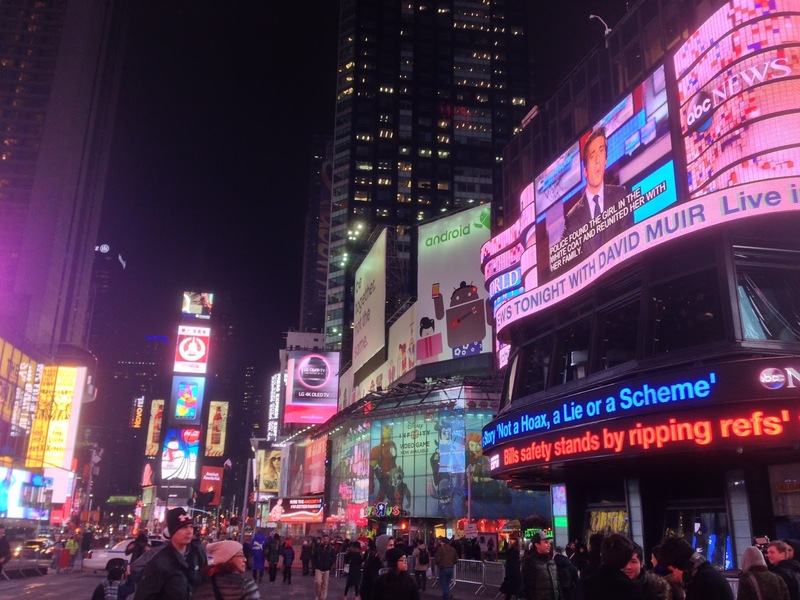 Immerse yourself in the beautiful lighting at Times Square. The square is a major commercial intersection and neighbourhood in Midtown Manhattan. Enjoy musicals and plays, M&M World, Hershey World, etc. 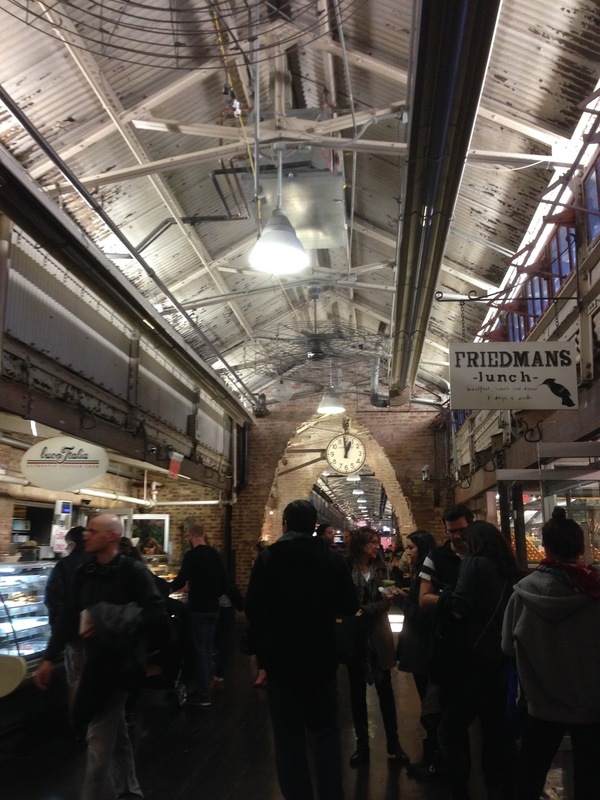 Enjoy shopping on the hunt for interesting items and foodies in search of some of the City's best cuisine. 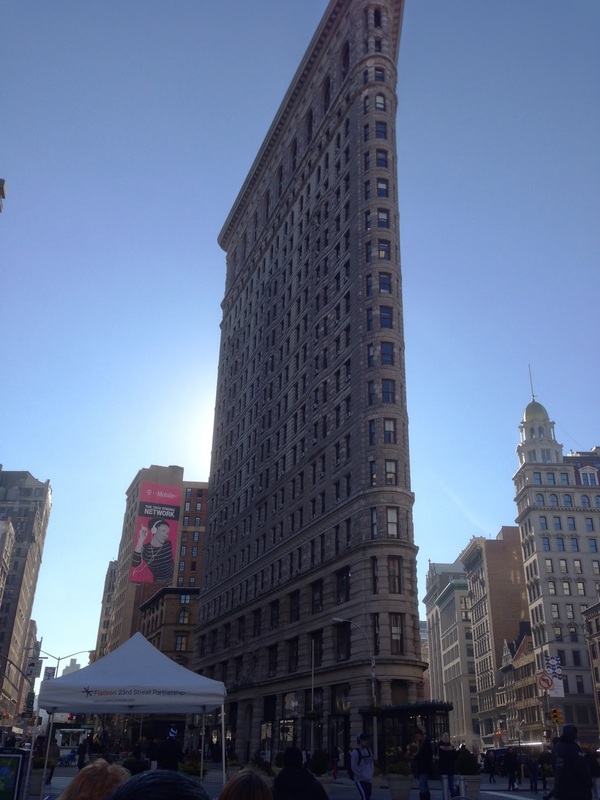 Opened in 1902, the Flatiron Building, originally the Fuller Building, is a triangular 22-storey steel-framed landmark building located at 175 Fifth Avenue in Manhattan. It is considered to be one of the world's most iconic skyscrapers, and a quintessential symbol of New York City. Located in the Flatiron District, why not enjoy a great meal at Turkish Kitchen? Lunch starts from 12nn to 3pm on weekdays. You may order either a 2-course lunch special @ USD12.95 or 4-course lunch special @ USD16.95 or ala carte (excluding taxes and gratuities). Or the ever-popular Burger Joint, Shake Shack. Or Brasserie Les Halles where the American Chef, Author and Television Personality, Anthony Boudain, was formally employed as a chef. 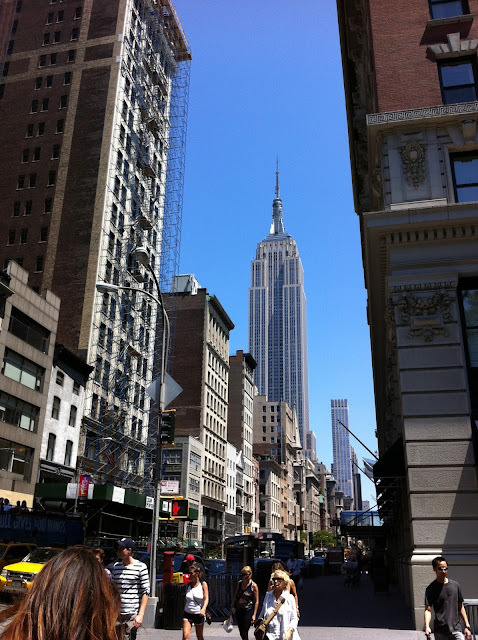 The 102-storey Empire State Building is generally thought of as an American Cultural icon. Completed in 1931, the building stood as the world's tallest building for nearly 40 years and is currently the fifth tallest completed skyscraper in the United States. Besides the famous Shake Shack, try Five Guys.